From ‘Germania: A personal History of Germans Ancient and Modern’ by Simon Winder (2010: 45). To slake my thirst for reading I have recently borrowed this delightful book on Germany from my brother. The book is an often funny but always passionate and informative guide to the central European country, and although my aim was to read it before journeying to Magdeburg last year I never quite got around to it. The quote instantly reminded me of what I had seen myself in Amiens in the summer, of the cathedral lit as it once was with its vibrant, even gaudy colours transplanted onto the bare and ashen stonework, and of the true sights and sounds that are now largely lost to the ages. Archaeology is in the business of salvaging and conserving finds and sites from the past, and an integral part of this is the study of human remains as this blog has tried to highlight. Whilst we can investigate many different aspects of past cultures, not just from the relics and the ruins that remain, but of the actual people who had once lived, it is still important that we realise we can only form an impression of what they had once seen and lived through themselves. I often catch myself whilst handling a person from the past, imagining who they had loved, what they had seen and what they had done in their lifetimes. Although the answers to some of our questions as researchers may now be lost, archaeology and its related disciplines can still help to shed a little light. That light is improving as archaeology widens its scope via science breakthroughs and multidisciplinary projects. In between bouts of writing for the thesis to bookend my MSc here at Sheffield, I managed to fit in a recent trip to northern France with the family. As I will not be blogging as regularly as I would like at the moment, until at least the bulk of the thesis is finished, I’d thought I’d share some photographic highlights of the trip. The smaller photographs can be clicked on to enlarge*. Intricate masonry of the Amiens catheral. 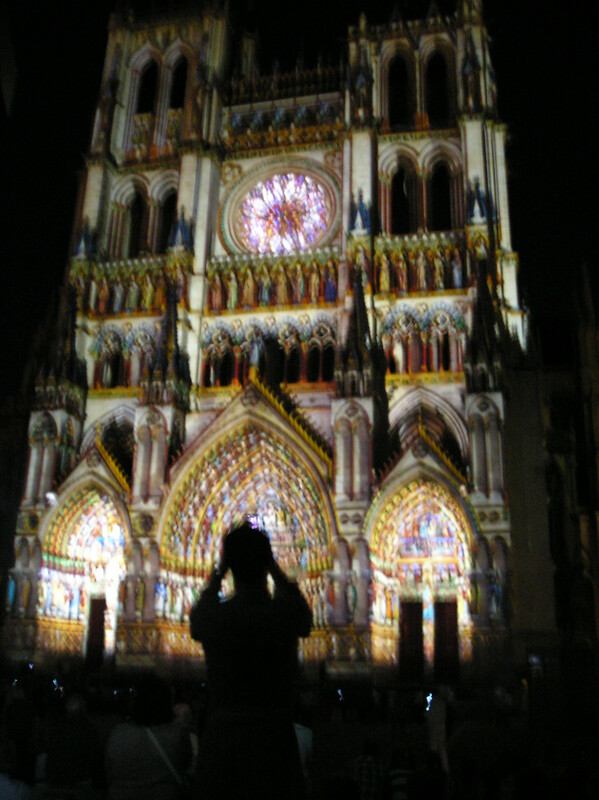 Amiens 13th century Gothic cathedral, one of the tallest of its kind in France, near the Somme river. Constructed between AD1220-1247, the level of detail is beautiful, and is reminiscent of its more famous sister, Notre Dame, in Paris. 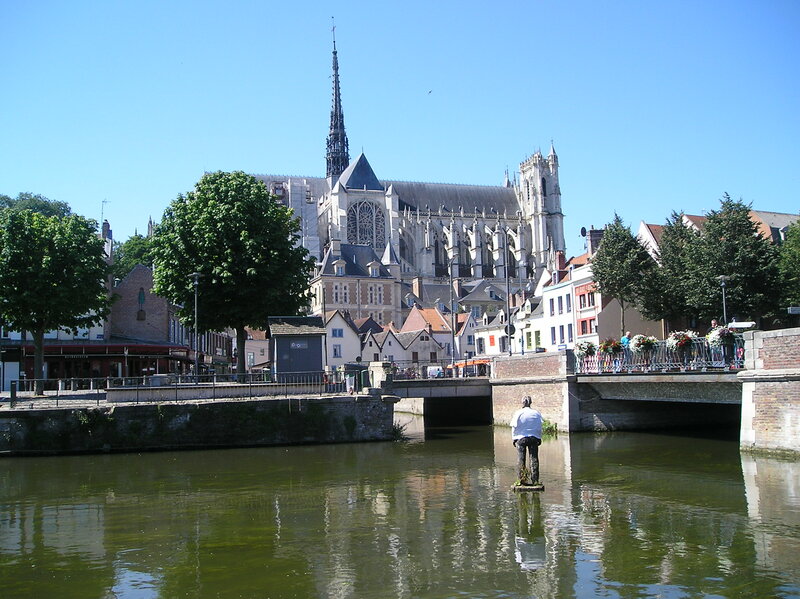 The first stop for the clan was the beautiful city of Amiens, a few hours drive from our crossing point into France. A deceivingly small city, Amiens has largely preserved some of the finest medieval architecture I have laid my eyes on. Somehow surviving the two world wars, the Gothic cathedral is a particular jewel in the crown for the city, with such detailed masonry work the likes of which I had not seen before. Perhaps most impressively is that during the summer months the front of the cathedral is lit as it likely once appeared during the 13th and 14th centuries AD (video). This included the clever use of detailed lamps to cast bright colours on the numerous saints, angels and bible scenes portrayed in such vivid and detailed masonry. The contrast between the dry and dull stonework during the day, and the almost garish colours of the night, is impressive and one wonders what the sights of medieval Europe would have really have been like if they were today as they used to be. If one were given to hyperbole, one would describe the night show at the cathedral as a piece of heaven on earth. We sat with the stars shining brightly above whilst the classical music that was played helped to echo the beauty of the stonework. An occasional gasp slipped from the crowd gathered, as we sat in awe at the beauty lit up before us. A blissful few days where spent wandering along the riverside paths where Jules Verne once walked, and we admired the hortillonages, those man-made floating gardens among the marshlands of the rivers Somme and Avre. 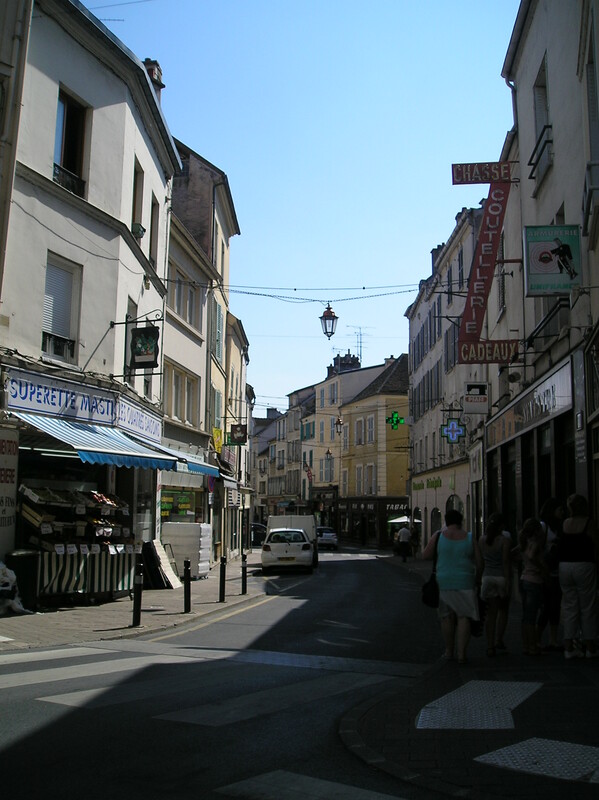 Soon however it was time to move to Saint Simeon, a small village located in the countryside, just to the west of Paris. A mock defensive late medieval tower at Provins. The new accommodation proved a relaxing change of pace, with fresh bread brought daily to the site, and a swimming pool in which we hid to ward off the midday sun. 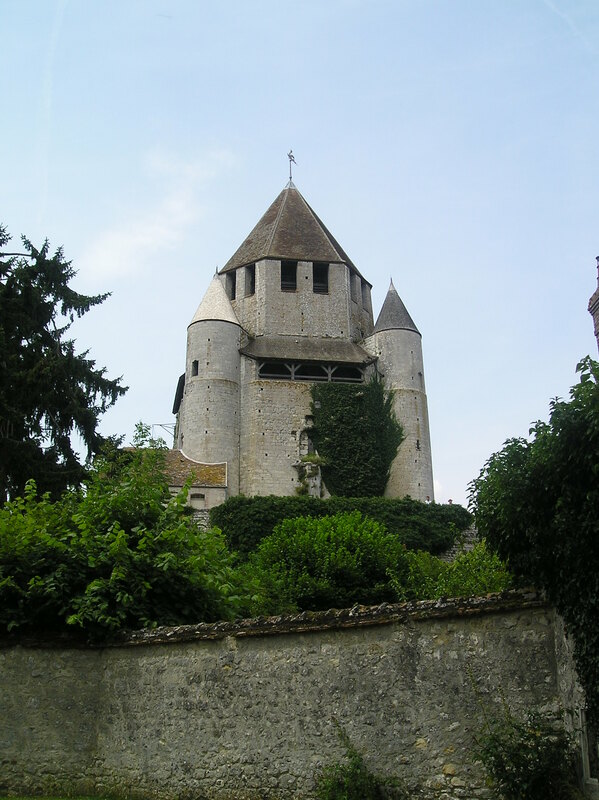 A day visit to the town of Provins proved worthwhile and delightful, as the town has retained its original medieval fortified wall and buildings. Even better was the medieval show that a group of talented actors put on, much to the delight of the many families present. Dueling knights, howling wolves, serfs, slaves, romance, and incredibly well trained pigs helped the medieval walls to speak of what they may have once seen (minus the trolls). The surrounding countryside of northern France held a dark secret that could occasionally be discerned by the bumps in the landscape. Too often a sign could be seen for a cemetery, marking the spot where those brave soldiers who had died during World War One lay in permanent rest. A visit to the Thiepval Memorial to the missing of the Somme proved to be a sombre moment of thanks to those who had gone before us, and to those who still remained missing in action. The remains of the trench systems are particularly well preserved and evident at the Canadian memorial to the Newfoundlanders who fought in the war. Even to this day the physical remains of WW1 affect those that farm the land in northern France. The so called ‘iron harvest‘ can be found dumped at the side of the fields, as the farmers lay aside the metallic debris of the war and the Western Front- the shells, shrapnel, grenades, barbed wire and the bullets that still litter the ground, and are ploughed up year after year. 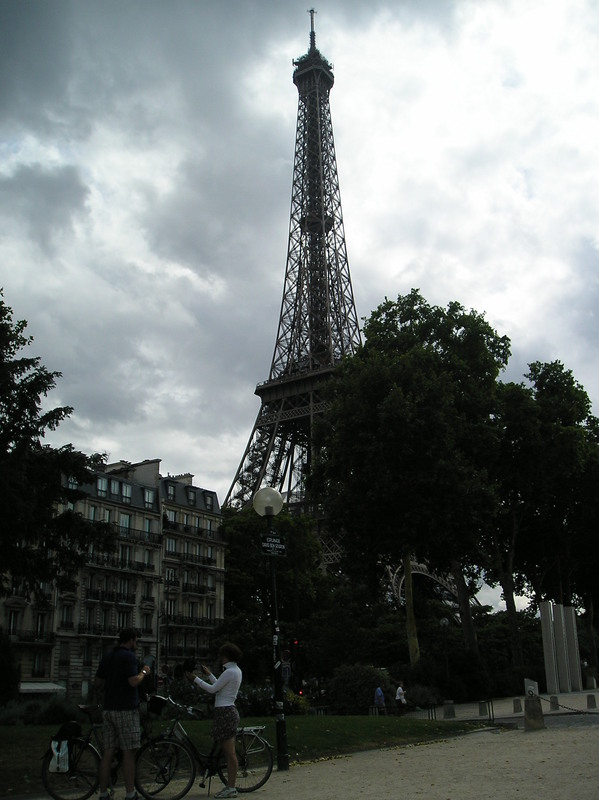 From war to romance, as we visited the city of love, Paris, for a day. There is nothing that I can add that hasn’t already been said about the city. It is safe to say that one day is not enough for Paris, nor is one night. 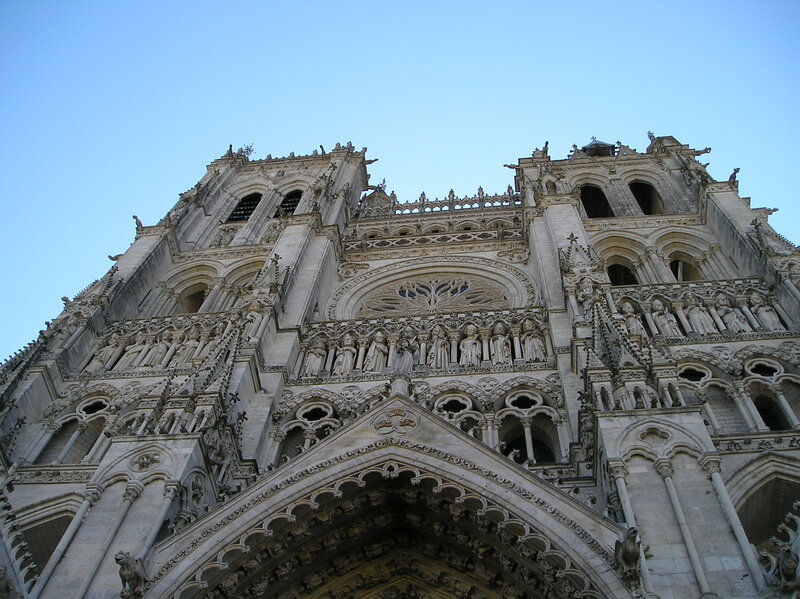 Amiens sister cathedral, Notre Dame, was spied, entered and admired, whilst I managed to view Paris from her most famous landmark, the Eiffel Tower; that indomitable mistress that keeps watch over the city. Built as a temporary structure for the 1889 Worlds Fair, she has continued her work as a tourist leader and telecommunications giant ever since. As we waited in the queue for the lift to the main viewing platform, my thoughts wandered to history, and that famous picture of Adolf Hitler standing and admiring his new prize in 1940. It may seem odd to think such things in the city of love at such a romantic location, but to accompany me on holiday I had brought the sublime ‘In Europe: Travels Through the Twentieth Century‘ travelogue by Geert Mak, and it had reached WW2 and the ravages it left on the continent. 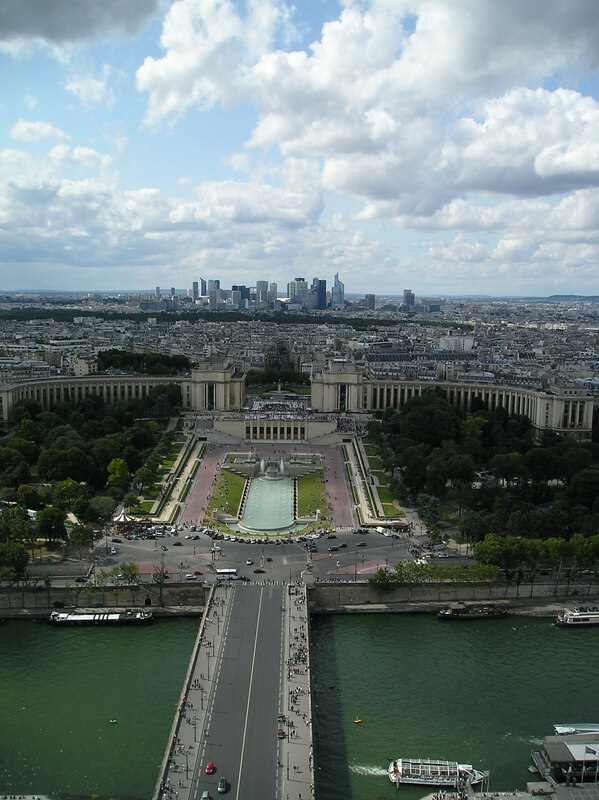 The Seine, the river that flows so majestically through Paris, accompanied our own walking tour as we spied various famous buildings and admired the artwork of the sellers and stalls which line its banks. The Champs Elysees was walked along, whilst the Arc de triomphe was spotted whilst its modernist conceptual brother was framed behind it. The sighting of Cleopatra’s Needle (actually Ramesses II obelisk) was accompanied by Napoleon’s Vendôme column, a few boulevards away. Almost a copy of Trajan’s column, the Vendôme column celebrates Napoleon’s victory at the battle of Austerlitz in 1805. A Parisian view: the river Seine in the foreground, and La Defense, the business district, in the background. The Paris day trip was completed with a meal outside, within view of the Louvre, which houses Leonardo’s classic work, the Mona Lisa. Unfortunately we did not get chance to enter the Louvre, but we did get chance to visit the Musee d’Orsay, which housed numerous paintings by the Impressionists, including the artists Monet, Cezanne, and Manet. My particular highlight was the chance to see Toulouse Lautrec’s paintings, and the Absinthe Drinker by Pablo Picasso. The medium of art never ceases to surprise and move me. Our final trip in France involved visiting the Chateau de Vaux Vicomte, a 17th century masterpiece of excess by Nicolas Fouquet, a minister in Louis XIV’s government. The chateau was the result of Fouquet’s lavish lifestyle, and the work of three exceptional artists- Le Vau, Le Brun and le Notre. Château de Vaux-le-Vicomte, or Fouquet’s Folly. 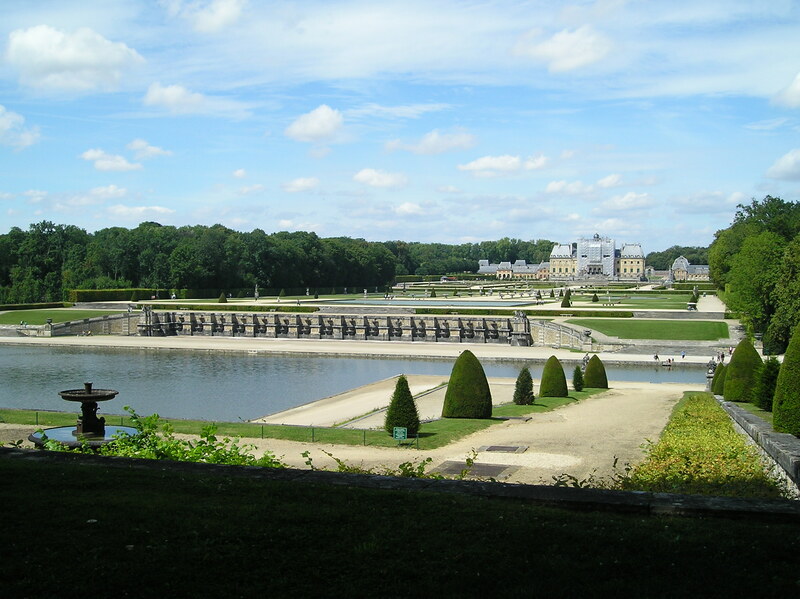 The opening of the baroque chateau and extensive sculpted gardens was presented in front of the King, Louis XIV. Such was the King’s fury at the grandeur that Fouquet had spent, or had misspent the country’s money, that after a mere two weeks of officially opening the Chateau Fouquet had began a sentence of life imprisonment, never to be released alive. King Louis XIV subsequently used the three artists to design, sculpt and construct a large majority of the Palace of Versailles. Our day visit here ended in an eventful ride in one of the golf buggy’s available to visitors, piloted by yours truly. * All photographs in this entry have been taken by myself.